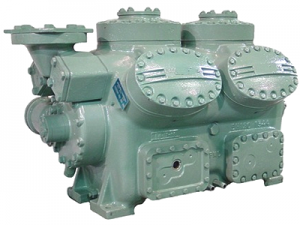 We are the specialists in the re-manufacture of compressors in the Chicago, Illinois and Hammond, Indiana area. 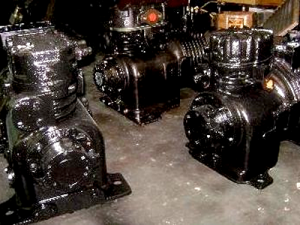 Our complete machine shop has the capability to machine older obsolete compressors that are still in use. 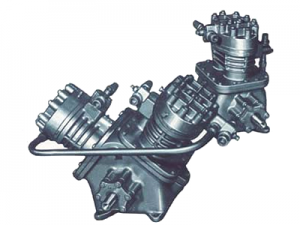 We have nearly every part for all compressors from current models to models as old as 60 years in age. We sell parts both locally and worldwide for all compressors with the exception of screw compressors — by selling directly to you, we keep your buying price lower. 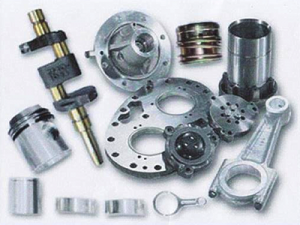 Our machine shop and parts selection allow us to offer quicker turn around time to our customers. Looking for a truly cost-effective alternative to a new compressor? You’ve found one in Carrier remanufactured compressors. Because they’re re-manufactured — and not simply rebuilt — you get a new-compressor performance and reliability in a unit that will save you money. And not just today, but for years to come. After all, if it’s not good as new, it’s not good enough. 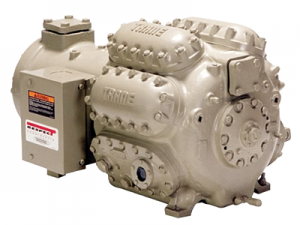 Every one of our re-manufactured compressors is the product of over 30 years of Carrier engineering and manufacturing experience. Click here to see the Carrier Product Line catalog. From the food we enjoy every day to the comforts of home at night, Copeland compressors live at the heart of the HVAC and refrigeration systems that homeowners, businesses and industries have depended on for almost a 100 years now. There’s a reason Copeland is specified by more HVACR professionals than any other compressor brand. Every product is engineered and tested for ultra-reliable, quiet operation, and we are constantly improving the technology to meet today’s energy and environmental standards. Click here to see the Copeland Product Line catalog. A genuine Carlyle re-manufactured Compressor hasn’t just been taken apart, cleaned up and put back together. It’s been completely stripped down and precisely re-manufactured – to the point where it’s nearly impossible to tell it apart from a brand new compressor. That’s why Carlyle is standing behind these genuine Air Conditioning compressors with an equally impressive warranty. Why take a risk with a rebuilt compressor when you get complete peace-of-mind with a genuine Carlyle re=manufactured Compressor. Nobody knows your compressor like we do — we have been in the remanufacturing business since 1980 and focus on supporting the aftermarket business and service. We are dedicated to supporting you through the entire process: starting with the engineer who designed the specifications for your compressor — to the professional working on the manufacturing line — to assisting you at the counter. We are the experts who know how to build it, and we have the knowledge and capabilities to rebuild it. Click here to see the Trane Product Line catalog. Frick engineers some of the world’s best compressors at Johnson Controls, like the Frick® RWF II Compressor Package, which features rotor designs that provide the strongest, most efficient operation for their applications. These Frick compressors are designed for use with ammonia, halocarbon, and hydrocarbon refrigerants. The easily manageable, compact package gives you more space and lowers construction costs to save you money. We specialize in re-manufacturing them to meet your specific requirements, so it is reliable, accessible and easy to service. Click here to see the Frick Product Line catalog. Our complete machine shop has the capability to machine older obsolete compressors that are still in use. 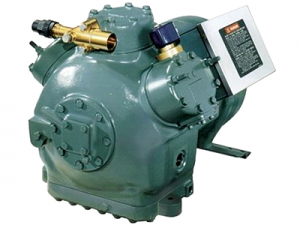 We have nearly every part for all compressors from current models to models as old as 60 years in age. We sell parts both locally and worldwide for all compressors with the exception of screw compressors — by selling directly to you, we keep your buying price lower.